Y’all!!!! We are literally days from my favorite holiday, Christmas! 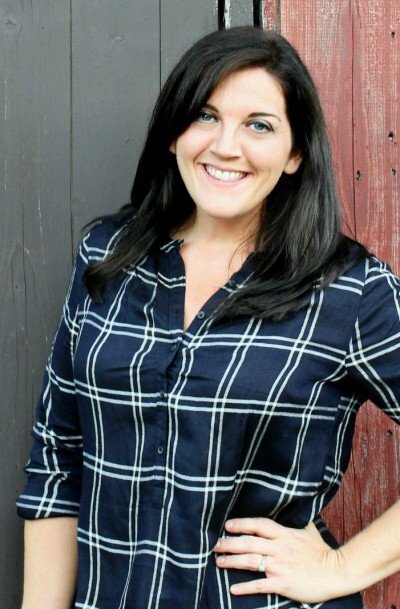 I am still trying to get all my stuff together, and for some reason this year I am waiting until the last minute for everything – ugh! I think because everyone has been majorly sick at our house, but we are finally getting over it…just in time for St. Nick! Now, every year me and my son like to make little decorations, and he came up with this mason jar idea. 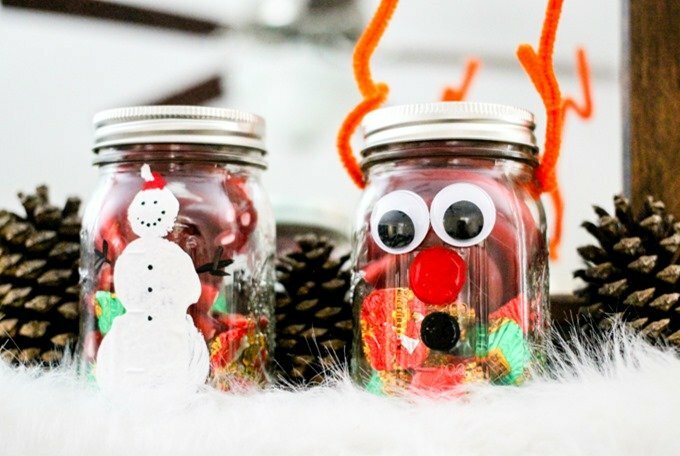 We made these as just cool holiday decorations, but when I saw the SweeTARTS Soft & Chewy Ropes and Butterfinger Peanut Butter Cups Minis, I knew these would be the perfect little containers to toss them into, and then toss them into the kids’ stockings! 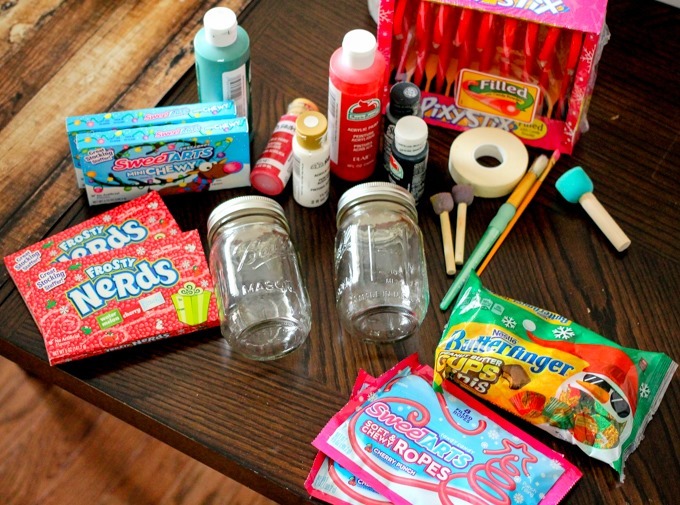 First, get all your supplies together – it doesn’t take much. 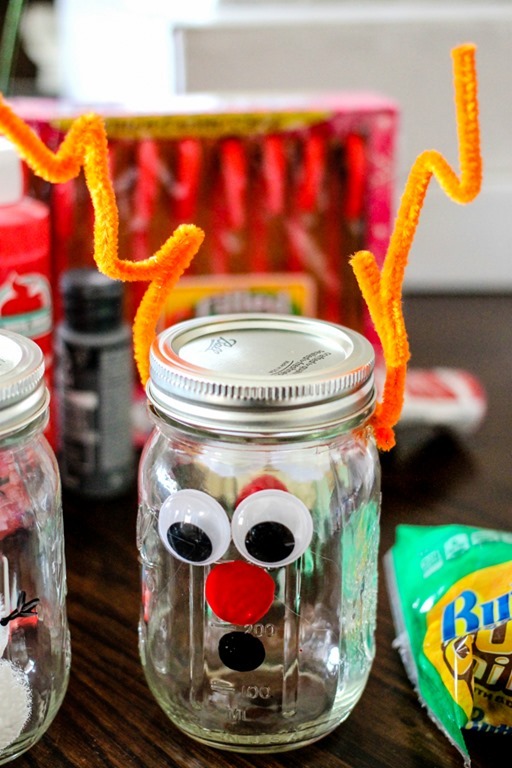 You will need a few mason jars (however many stockings you have, one for each), a couple paint brushes, some red, white, and black craft paints, and of course, the candy! SweeTARTS Soft & Chewy Ropes and Butterfinger Peanut Butter Cups Minis are the perfect festive and affordable treats to fill your stockings this year! 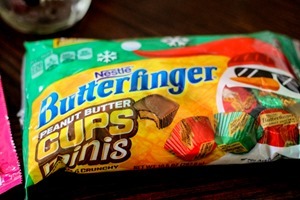 I have been pretty obsessed with them and love how they contain no artificial flavors and colors. 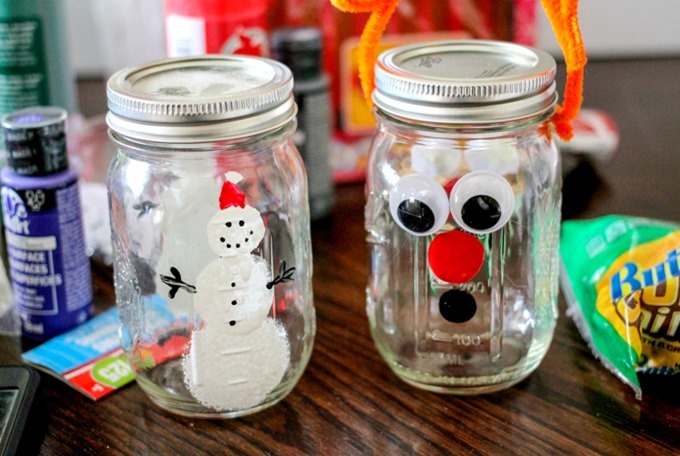 We opted to do a snowman and reindeer this year – easy easy, totally no fuss! 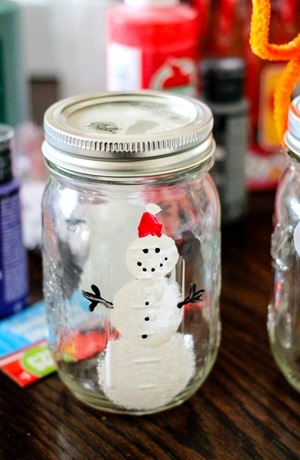 I used little round dabber paint brushes and made the snowmen and reindeer. My son used the hot glue gun (carefully) to glue on the eyes and reindeer ears! It was so easy and fun! 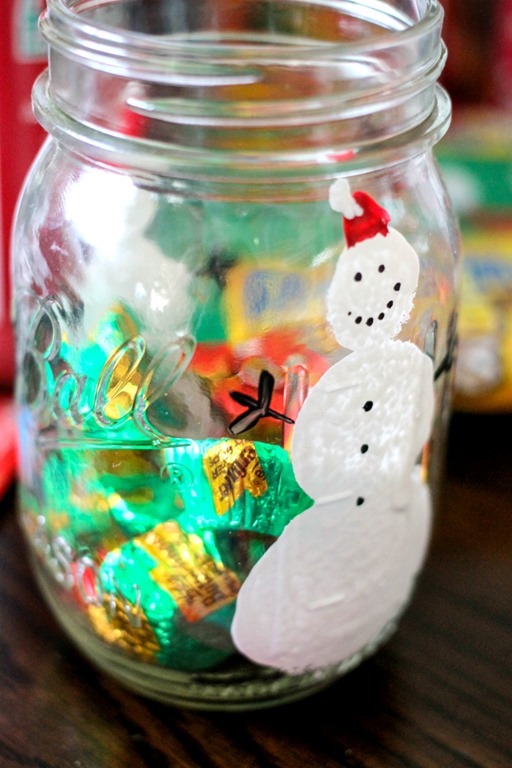 I am using the awesome SweeTARTS Soft & Chewy Ropes and Butterfinger Peanut Butter Cups Minis to fill up the mason jars! 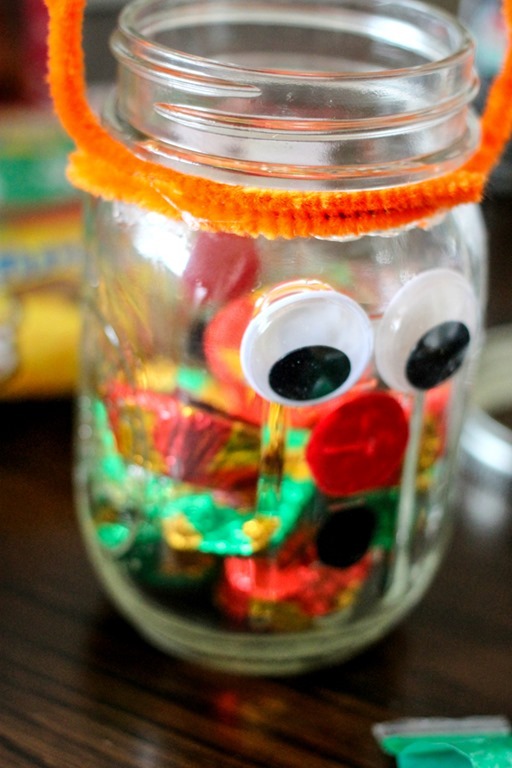 Just pile everything up inside, and twist the cap on – voila, done! 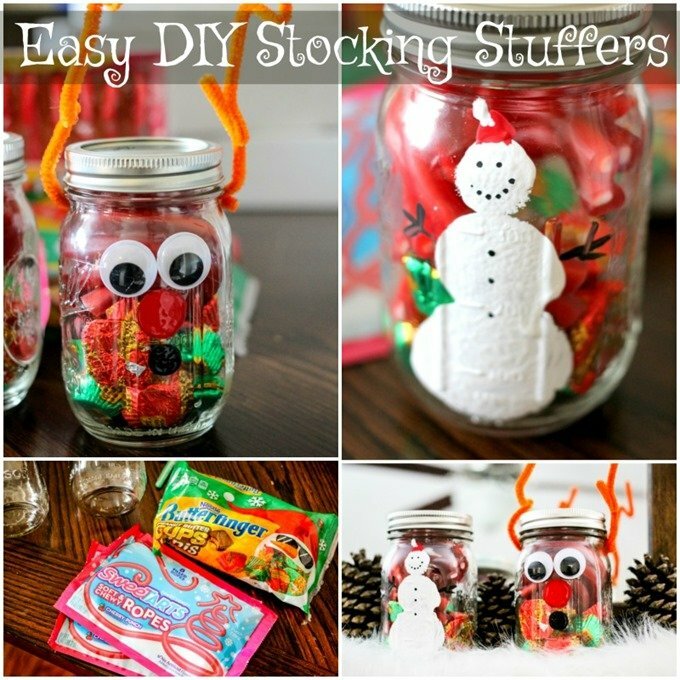 I am going to pop these bad boys into the kids stockings, and then also pop in a couple more of the candies separately! My youngest is going to LOVE the Butterfinger Peanut Butter Cups Minis; they are the perfect poppable treat with the crispety, crunchety pieces of Butterfinger filling encased in a delicious milk chocolate coating. I also love how they are individually wrapped in their festive red and green foil which makes them ideal for stocking stuffers, candy dishes, gingerbread houses, and baking! 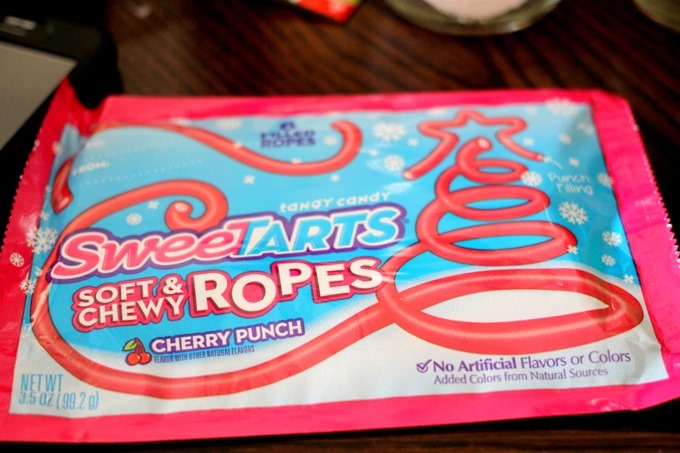 The SweeTARTS Soft & Chewy Ropes treat candy lovers to a soft, chewy, cherry-flavored licorice rope packed with a tart punch-flavored center. 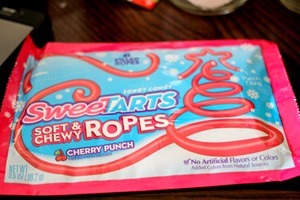 SweeTARTS Soft & Chewy Ropes have a gift tag printed directly on the package, allowing easy gifting for that special someone. 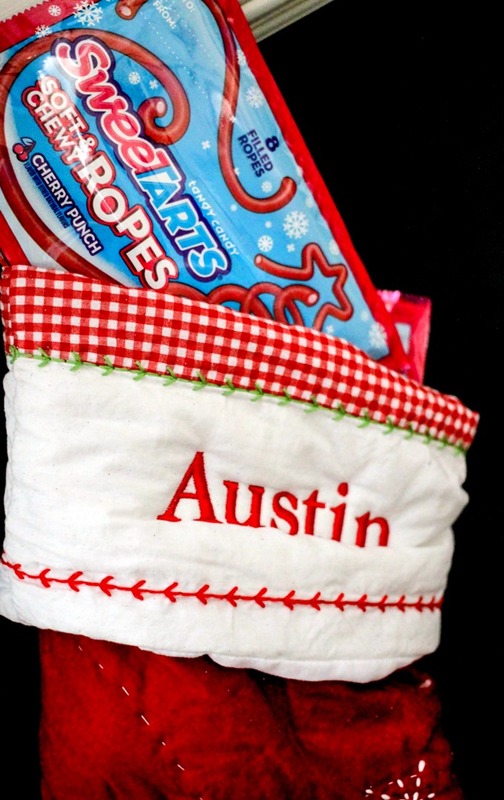 These are such a perfect candy gift!